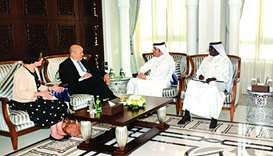 His Highness the Amir Sheikh Tamim bin Hamad Al-Thani met with the Minister of Europe and Foreign Affairs of the French Republic Jean-Yves Le Drian and his accompanying delegation, at the Amiri Diwan on Monday morning. 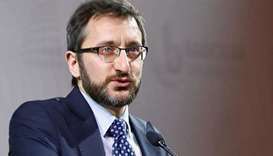 Turkey on Monday lashed out at "unacceptable" comments by the French foreign minister who accused President Recep Tayyip Erdogan of playing a "political game" over the murder of Jamal Khashoggi. 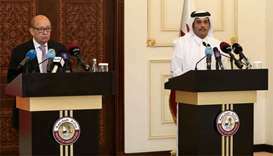 HE the Foreign Minister Sheikh Mohamed bin Abdulrahman al-Thani on Saturday met with his French counterpart Jean-Yves Le Drian, who is currently visiting Doha. 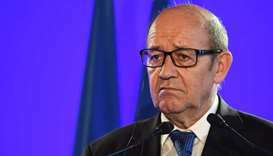 French Foreign Minister Jean-Yves Le Drian has called for a "de-escalation" in the row between Qatar and four Arab countries, as he held talks in the UAE and Kuwait, a mediator in the crisis. 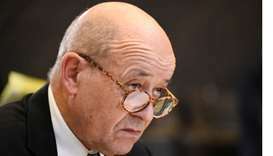 French Foreign Minister Jean-Yves Le Drian will visit Qatar, Saudi Arabia, Kuwait and the United Arab Emirates (UAE) from July 15-16 in an effort to ease tensions in the region, his office said in a statement. Sony Corp forecast its highest earnings in 20 years as Chief Executive Officer Kazuo Hirai uses games, image sensors and entertainment to revive the electronics maker.